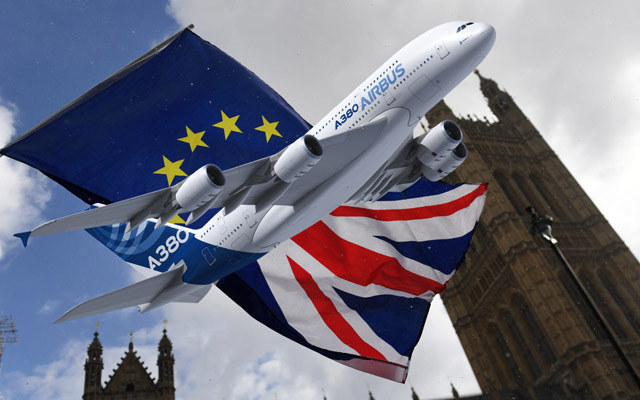 The business minister Richard Harrington has dared the prime minister to sack him after he praised Airbus for branding the governments handling of Brexit a �disgrace�. Speaking at a German Industry UK gathering in London, Harrington said: �I was delighted to read Airbuss comments this morning because it is telling it like it is,� adding that a no-deal Brexit would be �a total disaster for the economy�. But his exasperation appears to have increased after Theresa May s keenly awaited statement on Monday contained few fresh proposals for averting a no-deal Brexit. �This is a disaster for business and business needs to know where it is and that does not mean, "oh great, two weeks before we are leaving, now we can rule out crashing out,� he said. �I know in business we want one thing and that is certainty. The fact that we can rely on WTO as a way of conducting ourselves � there are no WTO rules. This is one of the fictions and fallacies. It provides a platform and a membership to negotiate individual agreements,� he said. News Source The Guardian .